Are you ready to receive high quality auto servicing for your car? 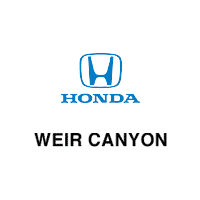 Make an appointment with the Weir Canyon Honda Service Department for all of your car repair, maintenance and servicing needs. Our staff will provide you with the information you need to keep your car running smoothly, whether you need battery services or something more. For questions or concerns about recalls affecting your Honda vehicle, please visit recalls.honda.com or call 714-660-1033.